The Solent Forum can offer consultancy services to members, to help facilitate coastal and marine issues in the Solent. To date, amongst other things, the Forum have worked with its members on issues such as marine planning and Marine Protected Areas. Please enquire if you would like to discuss any issues which you would like us to assist on. 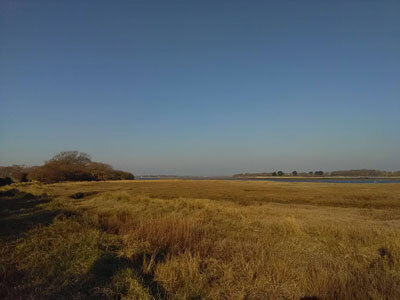 The Forum has been contracted by the Environment Agency to help it to publicise and promote the use of ecological enhancements in hard coastal defences. This work will be completed by the end of March 2018. It will include an online resource bank of knowledge on the Forum’s website, and additional information added to the Solent Information Database and Coastal Consents guide. Forum members will be contacted for their input to promote and deliver this concept. The Marine Management Organisation (MMO) has contracted the Forum to assist it with its ESE Project, funded by the EMFF. The Forum has been identifying hard to reach stakeholders to help the MMO ensure wider stakeholder involvement in marine planning. This work will run from 2017 to 2019. The Solent Forum worked hard to usher in the Marine and Coastal Access Act 2009 and this was embodied in its “Towards Solent Marine Planning (SoMaP)” project that it launched in 2008 to help its members prepare for the new marine planning system. Now a decade later, the Solent Forum continues to work with the Marine Management Organisation (MMO) to help Solent stakeholders engage with the South Marine Plans. Over the past 5 years, the Forum (with its neighbouring coastal fora in Dorset and Devon) has worked with the MMO to deliver and chair a range of workshops to develop and support the preparation of south marine plans. This facilitated extensive input from a wide range of coastal organisations around the Solent and the Isle of Wight to the South Marine Plans. The inclusion of such local knowledge and ownership of the plans will enhance their implementation, and will ensure their aims to benefit both people and the environment are met. Coastal Fora such as the Solent Forum offer an important and valuable mechanism to aid regulators and policy makers in involving coastal stakeholders, and have a real role in Integrated Coastal Management. The Forum run regular members meetings as well as a news service in order to provide a range of information, including marine planning, to its members. The MMO regularly attends these meetings and submits articles for the “Solent News” service. The Solent Forum is also well placed to help implement the South Marine plan and is looking forward to working with the MMO and its members to enhance implementation. The Forum also supports the MMO Licensing Team by publicising marine licence applications in its monthly e-newsletter. It also worked with the Licensing Team on its popular Coastal Consents Guide that shows developers what to consider when planning development proposals.